What is How I Like? How I Like is a platform that revolutionizes on-the-job catering with the help of the How I Like smart refrigerators. Now, you and your colleagues can enjoy and quickly get healthy products, tasty dishes and refreshing drinks in the comfort of your office. Our products help you maintain a healthy, happy and balanced life. How does How I Like work? How I Like offers an integrated solution for your office: we take care of setting up the refrigerator, onboarding your employees and ensuring that the refrigerator is refilled on a regular basis. You give us one square meter of space – we take care of the rest. You will get re-fills at least twice a week. Our selection of food and drinks makes everyone happy. Try it for yourself! You would like to use the smart refrigerator in your office? What are the benefits of How I Like to your company? How I Like enriches the day-to-day work of your employees: The provision of healthy food increases employee motivation (along with other things like better care, less travel time, more interaction with each other) and increases the attractiveness of the employer and the location. How much does How I Like cost? Our service includes the refrigerator installation, employee on-boarding, regular product delivery, cleaning and maintenance, technical support and administration. For this we charge a service fee of 149 € net per month to the company. Employees get the service for free and pay only for the products they purchase. Contact now and get two months free use. Thanks to our national and international partners, we offer a varied assortment of wholesome dishes, delicious soups, vitamin-rich smoothies, sweet energy kicks and refreshing drinks. Whether vegan, vegetarian or organic – there is something for every taste. Fill in the form for an individual offer or call us directly. 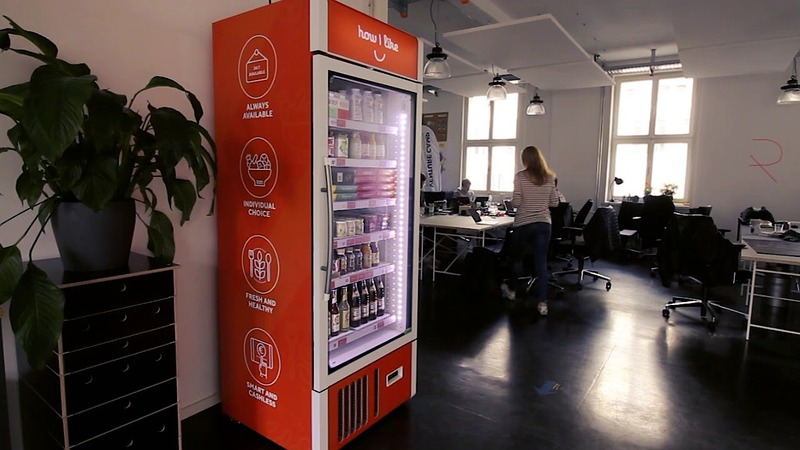 How I Like is a platform that revolutionizes on-the-job catering with the help of the How I Like smart refrigerator. Employees can quickly get the products they want and enjoy their quick break in the comfort of their office.